Hummph! You’re going through all this emotional pain and suffering while they’re apathetic and more concerned about getting that job promotion, or out relaxing on the golf course. Don’t they care!? Have you noticed that - even though you’re broken up - nothing really has changed? Isn’t the breakup just like the relationship? Where your Capricorn partner was obsessively dedicated to their career, and themselves, and emotionless and reserved with you. Didn’t you more feel like a business partner than a sensual playmate, anyway? So, what has changed...? Still, it hurts. But maybe what hurts more is not the loss of your relationship, but more your own estimate of it. Couldn’t this be an opportunity for you to grow personally, and feel the forbidden joy of dancing with fire, again? Hasn’t your life been too sedate, subdued, and settled? Of course you miss your Capricorn’s contagious laugh and captivating sense of humor, yet what measures did you have to go through in order to hear that laugh? Yes, you have to admire your ex’s stamina, perseverance, and determination - yet just once you wish your ex would have thrown caution to the wind and dared to dance the dance. To win back the heart of your Capricorn, appeal to their logical, calm, reserved part. Yes, they may judge, even disapprove, of what they perceive as a lack of goals, ambition, and motivation on your part, but why should you bother - not only do they have enough ambition and drive for both of you, but anything you do would just pale in comparison, anyway! Your Capricorn ex is always going to be top dog - at least to them. Although, slightly domineering and even egotistical, your Capricorn ex was a devoted partner. A candy machine may appear cold and hard on the outside, but it is filled with sweet goodies on the inside. Never think your Capricorn ex doesn’t miss you, too! They may "appear" to be cold and hard, and you may take this as callousness and apathy on their part, but trust that their sweet inner core is not smiling as brightly as it was with you in their life. Chances are your Capricorn mate has thought long and hard before leaving the relationship. If the relationship was lacking in sensuality it is likely that your ex had strayed. This was not something that they had planned, but more likely something that just "happened". 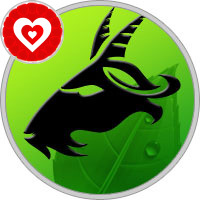 A solid, stable foundation at home, padded with tons of affection, will keep the Capricorn mate true and loyal to you. A Capricorn may look elsewhere if the relationship becomes to "docile". Capricorns need romance, adventure, and humor in their relationships. When content, Capricorns make responsible, committed mates. Capricorns woman are dedicated, driven and ambitious. They, unlike most star signs, prefer to be on their own and many end up or continue to be loners. This is bad news for you if you have just broken up with a Capricorn lover. Time is of the essence to win them back before they settle to comfortably into lone status. So if you want to know how to get Capricorn women back then read and take heed of the following top tips. Unfortunately Capricorns tend to hold grudges and do not forgive or forget very easily. Because of this you will need to ask forgiveness to win back the love of a Capricorn lover. Even if the break up or the reasons for it were not entirely your fault, you will need to admit your fault, swallow your pride and beg forgiveness. If you cannot or will not do this then you have little chance of gaining back your ex. Capricorn woman are practical and down to earth. Flowery poetry and romantic notions play no part in their lives. So rather than pursuing your ex using traditional romantic methods you will need to take a practical approach. Show your Capricorn lover that you are better off together than apart for materialistic reasons and you can win back their heart. Capricorns prefer respect over love any day. To be respected and admired is very important to them. They need to be respected and to give respect to a partner. Earn that respect by being honest, communicative, and sincere in your approach to winning them back.